Shows a paw-shaking welcoming. 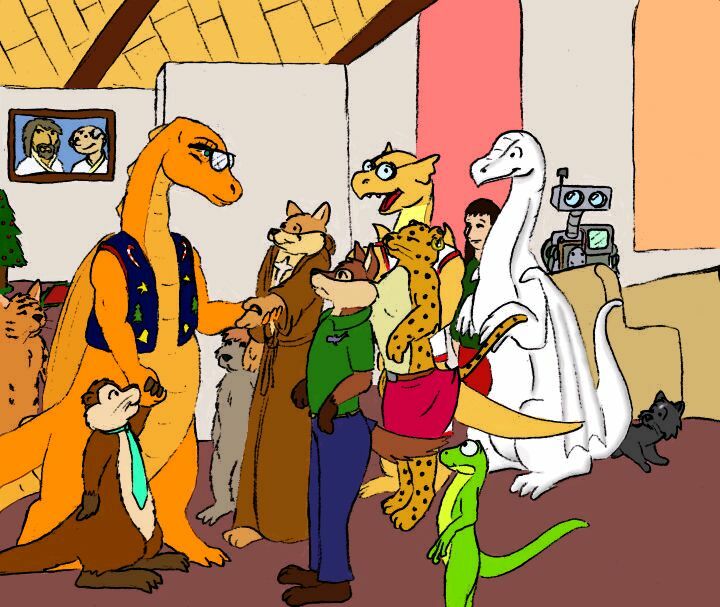 Drawn by Oren Otter. This picture shows Oren introducing his mother to the fellowship. 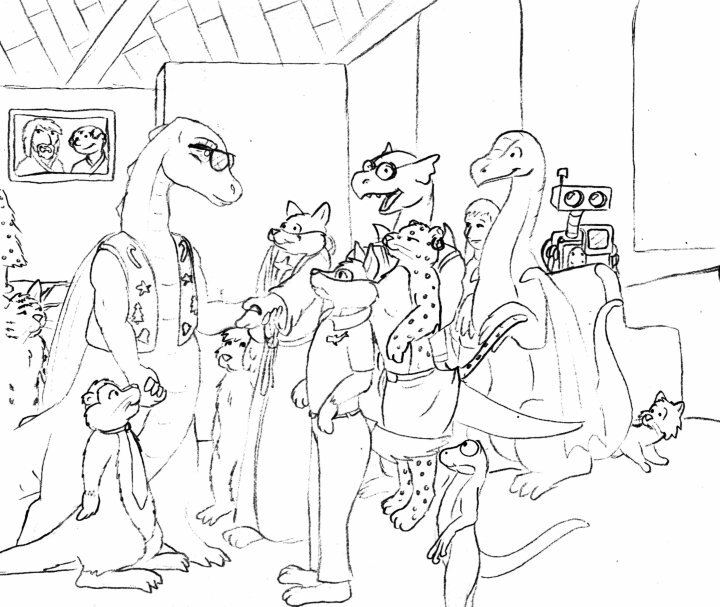 Drawn by Oren Otter. The previous picture, colored by Xyie. 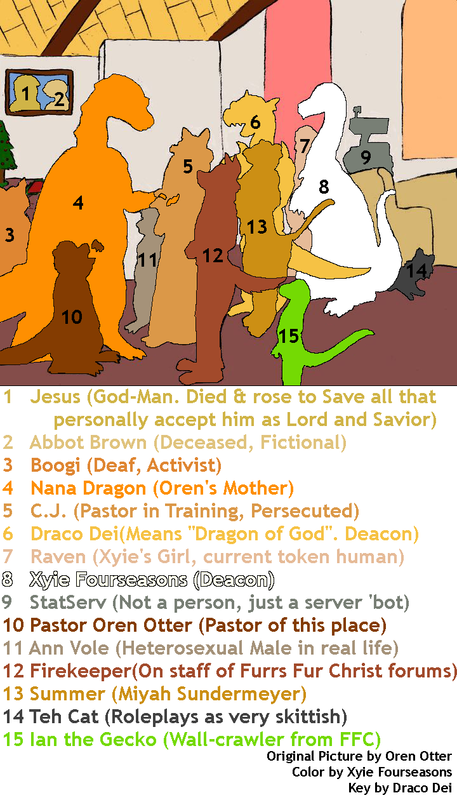 The previous picture, with a numbered key showing who's who. 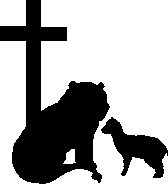 Done by Draco Dei. 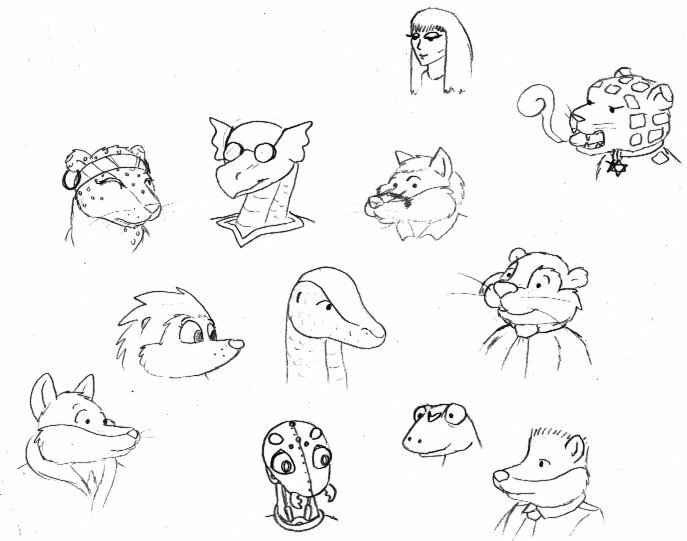 Various portraits of members. Drawn by Oren Otter. 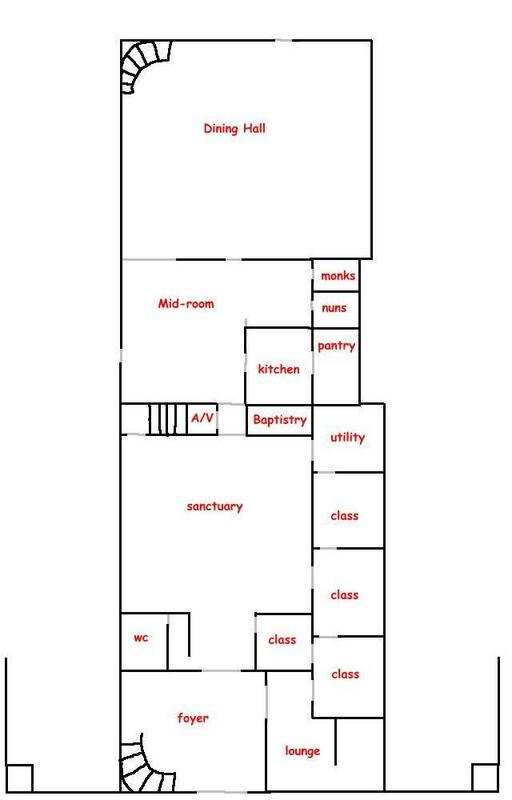 The ground floor of St. Fred's. 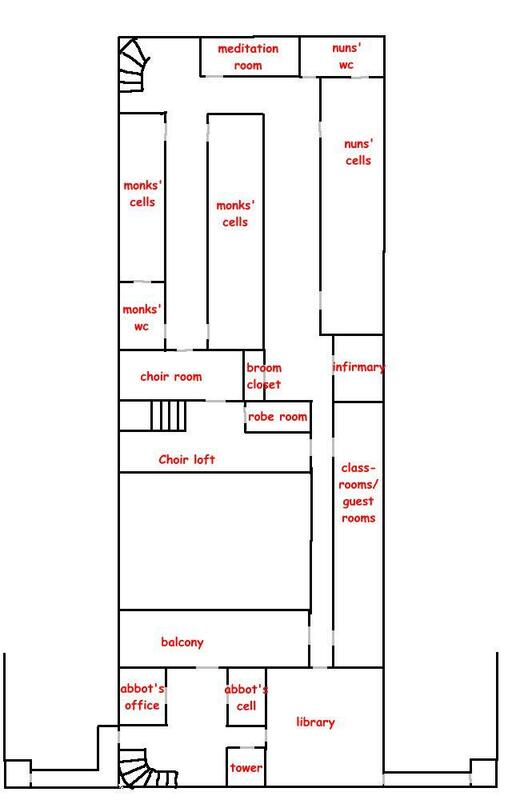 The upstairs floor of St. Fred's. A cutaway side view of the basic monastery. 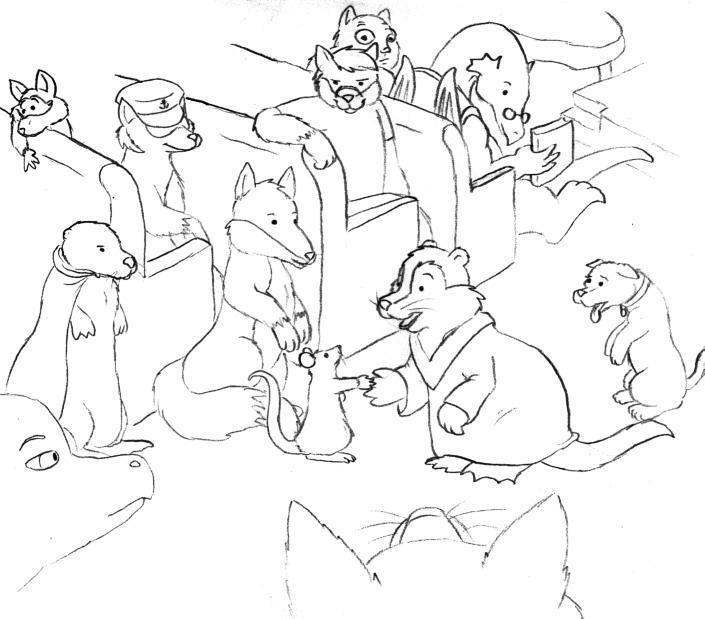 Drawn by Oren Otter. 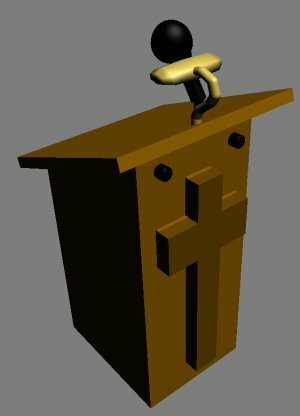 A 3-D view of the pulpit, created by Oren Otter. 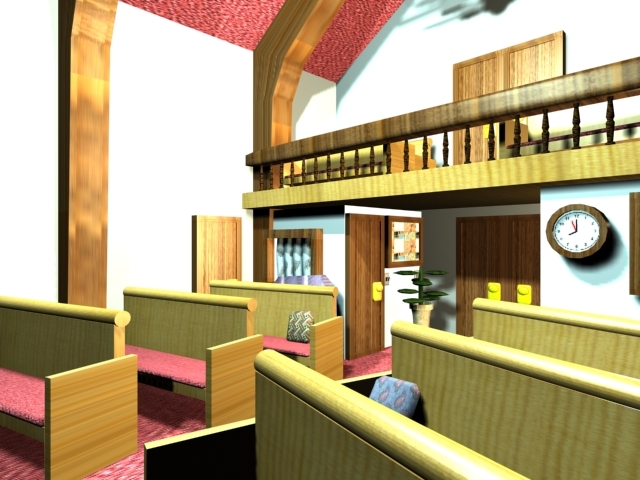 An early 3-D rendering of St. Fred's, created by Oren Otter. 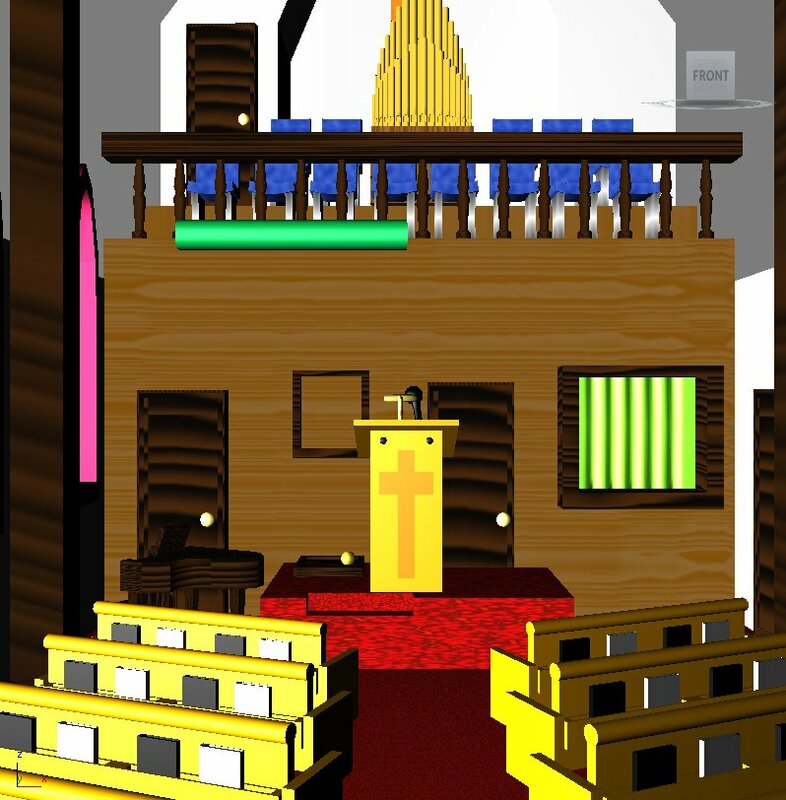 A 3-D view from the balcony of St. Fred's, created by Oren Otter. 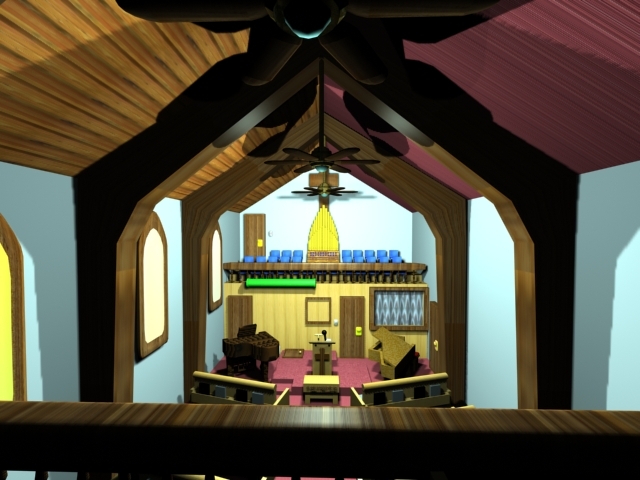 A 3-D view from the chior loft of St. Fred's, created by Oren Otter. 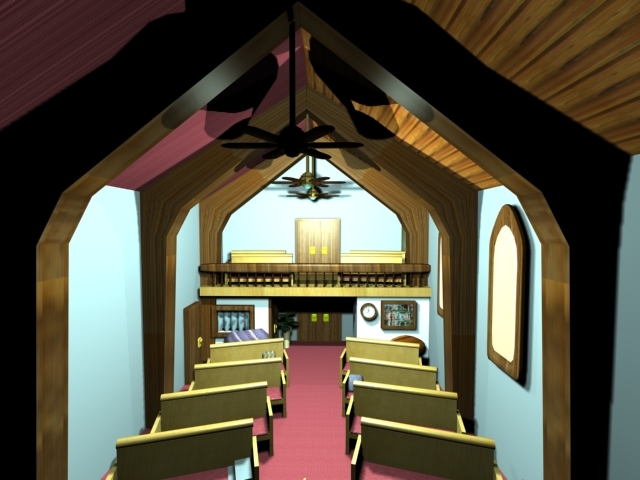 A 3-D view from the pews, created by Oren Otter. 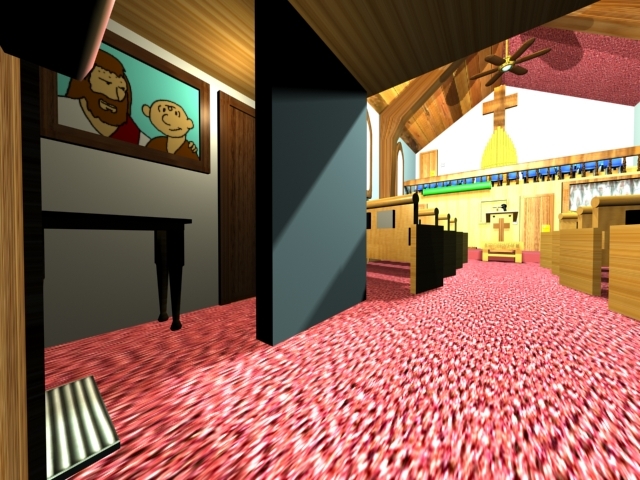 A 3-D view from the enterance of St. Fred's, created by Oren Otter.